Precision weather reporting does not get any better than this! Weather stations weather camera system offer our clients an accurate and reliable on-site reporting option for weather data and live streaming video. Whatever your application – from a low-cost recreational weather station in your backyard, to an industrial strength station with highly accurate NWS/FAA/EPA approved sensors, we can help customize and program a weather station to fit your exact needs. We work with just about every weather station and sensor manufacturer on the market to find the best solution for your specific purpose. We even carry mounting hardware to help you set up your station. We will consult with you to put together a package based on your requirements and budget. Check out this cutting-edge, reliable, all-in-one sensor technology that features an ultrasonic wind sensor and impact rain sensor. 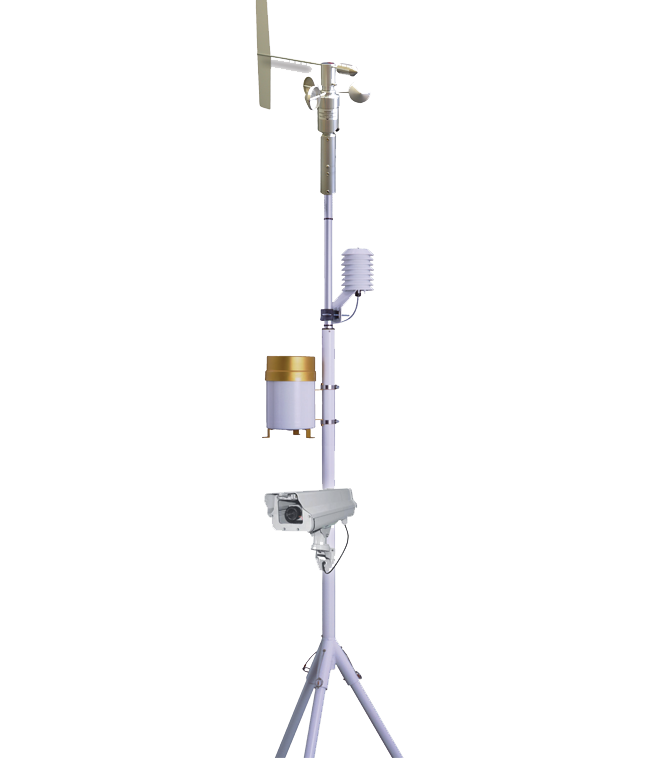 This weather station has the advantage of containing no moving parts,which makes it highly reliable in any environment. Flexible modular system featuring high accuracy sensors and enhanced resolution wind sensors. This system offers the flexibility to mix and match the exact sensors you require, from up to four temperature/soil sensors to a visibility sensor with a 10-mile range. This system offers maximum customization. Perfect for homeowners and business who want an easy to install robust weather reporting system without breaking the bank. A personal weather station carries many of the same features as high end station with the ability to calculate wind speed and direction, barometric pressure, temperature, dew point, and rainfall to name a few. Cabled and wireless options available. Miniature handheld weather stations used to collect real-time wind, temperature, humidity and pressure readings. Readings are recorded and displayed directly on your weather meter or through your smartphone via Bluetooth connection. We work with every weather station & sensor manufacturer on the market, residential to industrial. Shop now or consult with us to customize and program a weather station for your exact needs.